Unique styling and a high quality cabin. Standard equipment includes DAB and navigation. Good range of engines. Uncomfortable due to hard ride quality. Tight for rear seat passengers. Rear windows don't open and come to a point. 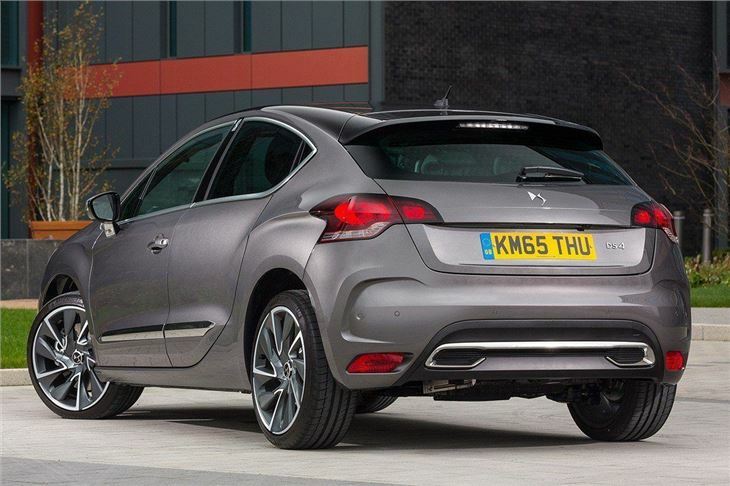 The DS4 is the second former Citroen model to lose its double-chevron badges – it’s now simply a DS4. Aside from the branding change it has undergone a fairly comprehensive facelift, with a redesigned grille and new lights, but there are also more efficient engines. 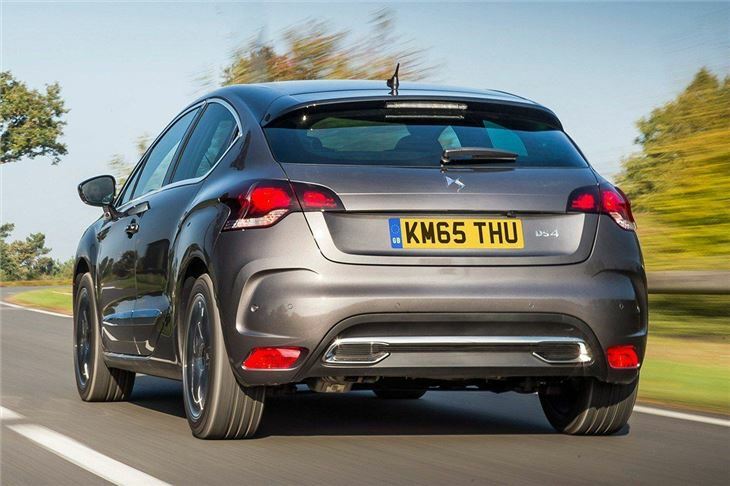 The changes from late 2015 certainly improve the DS4, but ultimately it's still a flawed car. The biggest problem is the ride quality. 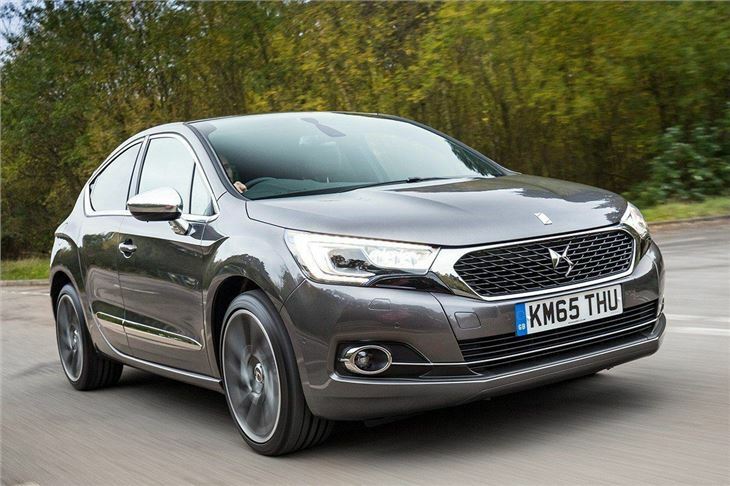 Over rough surfaces the DS4 is unsettled at best and it never really calms down, even on a smoother road. 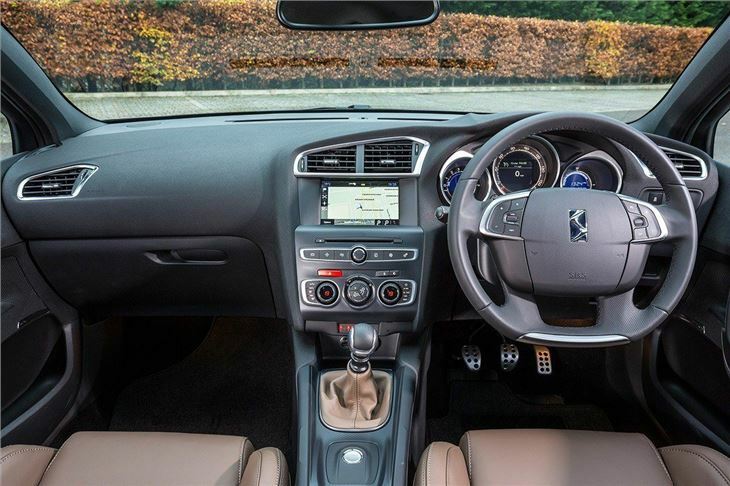 Undulations, potholes and camber changes are all transmitted into the cabin and it really detracts from the premium feel Citroen – or DS – is going for. Things are improved slightly if you opt for the Crossback variant. This has pseudo-offroad looks and, more importantly, increased ride height which makes for a slightly better ride quality. However even then the ride is fidgety and unsettled unless driving on smooth roads or motorways. 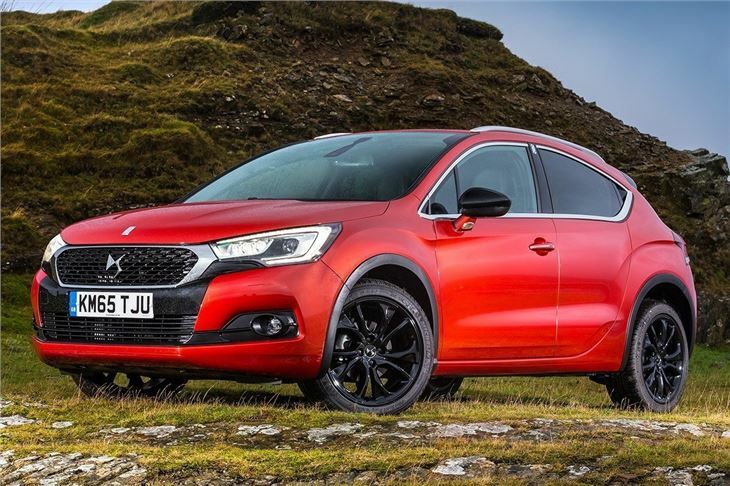 If you tend to drive on rough or potholed roads the DS 4, in any guise, is not the car for you. That said, there are positives. The interior is very well-finished and uses high quality materials including leather and brushed metal. 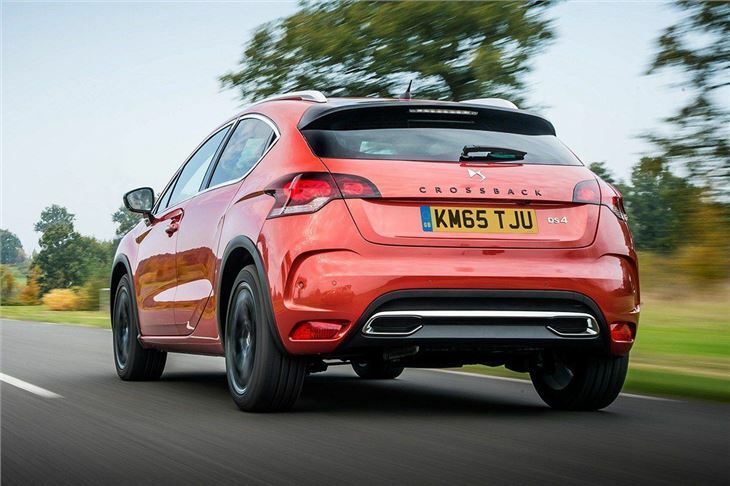 Noise is well suppressed, with quiet engines and little sound from wind, though tyres – particularly on cars with larger 19-inch wheels - do rumble a little over typically coarse British tarmac. The engine selection is very good. Even the basic 130PS petrol and 120PS diesel options offer reasonable performance and economy, with the latter capable of an official 72.4mpg. The more expensive engines blend high performance and low emissions well, particularly the BlueHDi diesels with 150PS and 180PS outputs. Furthermore the EAT6 automatic transmissions are smooth and barely alter emissions or economy. The boot is a reasonable size at 385 litres, but rear seat access is poor. The rear seats themselves aren’t exactly spacious either – taller occupants will struggle for headroom and even shorter passengers will struggle for knee room with taller occupants up front. The rear windows, rather bizarrely, cannot be opened at all, which can make a big difference for travel sick kids. 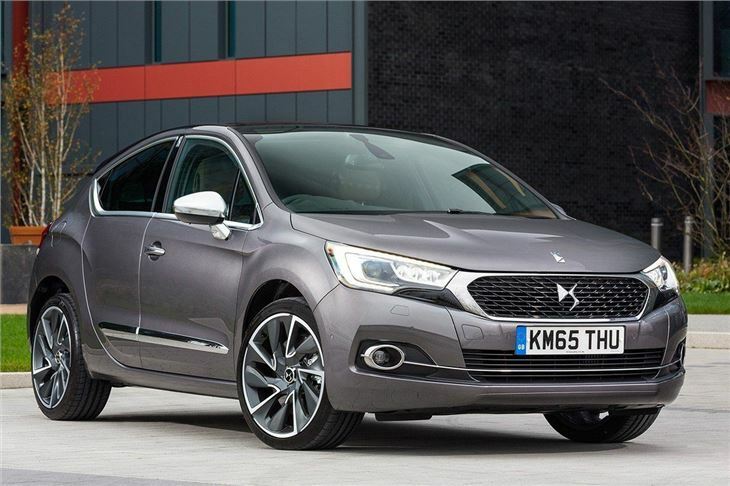 The DS4 is distinctive and it feels upmarket, but the poor ride quality and limited practicality mean its appeal is limited. If you can cope with the poor ride and you don’t often carry passengers then you might be happy with one, but we’d recommend looking at cars like the Audi A3 Sportback or BMW 1 Series for your premium hatchback fix.